An environmentally friendly process using compressed air and a specialist DPF kiln. Diesel fuel pumps repair specialists. Market leaders, endorsed by the major manufacturers. We’ll collect your diesel pumps & injectors for inspection, test & repair. Find out more about our free* collection & delivery service. We’re the most progressive company within the industry. 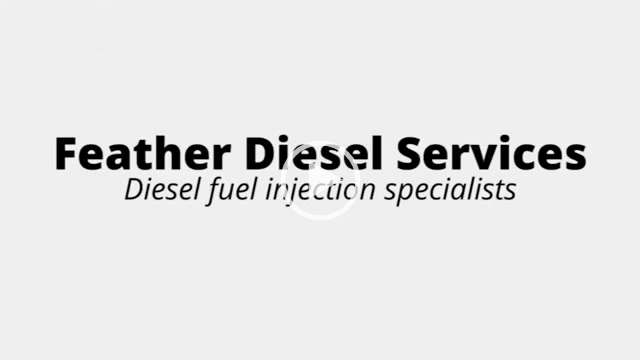 Welcome to Feather Diesel Services, a centre of excellence for diesel pumps, injectors, vehicle diagnostics and DPF cleaning based in Halifax, West Yorkshire. We make a real contribution to the efficiency and cleanliness of many of the diesel cars, vans, buses and trucks on our roads. Serving our clients for over 65 years Feather Diesel Services has gained one of the most enviable reputations in the industry; Quality of product and service is second to none. Our customers of many years are the end-user or vehicle owner, independent garage, franchised main dealer, motor factor, fleet customer, vehicle workshop and OEM manufacturer. Feather Diesel Services are proud to be accredited to the Quality Standard BS EN ISO 9001:2015, Environmental Standard BS EN ISO 14001 and to the Health & Safety Standard BS EN ISO 18001:2007. From the latest common rail systems to vintage application FDS can supply service exchange or repair your pump. Click on the link to see repairable pumps. Bosch, Delphi, Denso and Siemens injectors can be tested and repaired. Click on the link to see repairable injectors. Feather Diesel Services are able to test and clean DPF units fitted to cars, vans, trucks, buses and off-highway vehicles. Offering full electrical and mechanical diagnostic services, including power testing and re-mapping. Click on the link for more information.